Home » Christmas » Christmas crib nativity scene. Diorama Bavaria 2011. 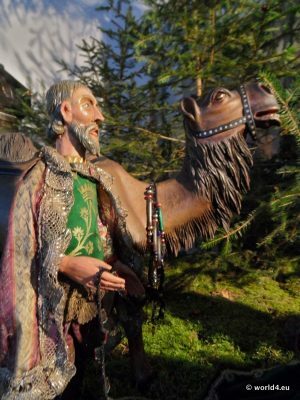 One of the Holy Three Kings. 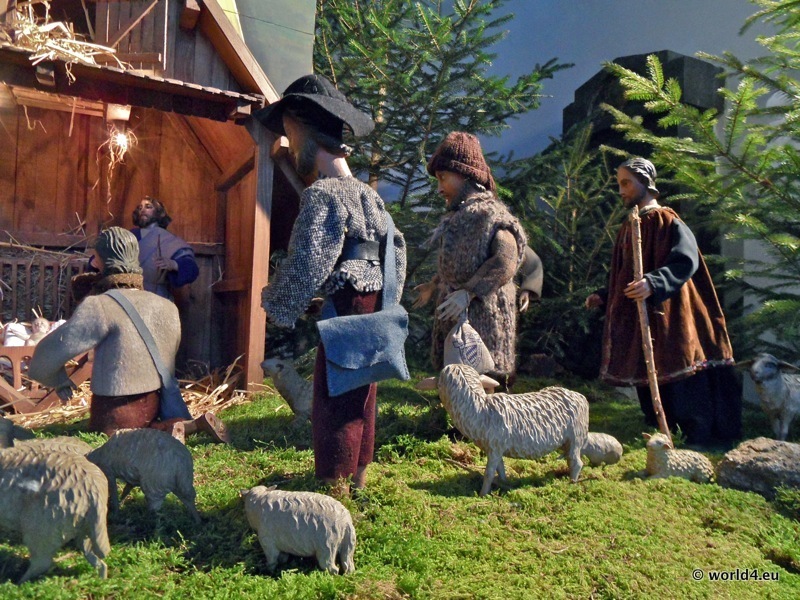 Christmas crib nativity scene with shepherds, mother Mary, and Joseph. 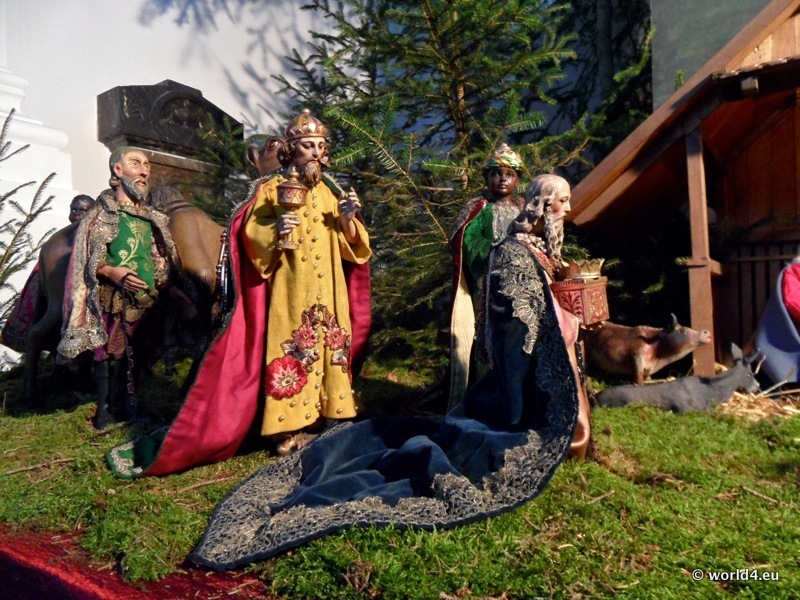 Birth of Jesus in catholic tradition as folk art diorama. The Holy Three Kings, Epiphany, Holy Family, Pastors, shepherd. 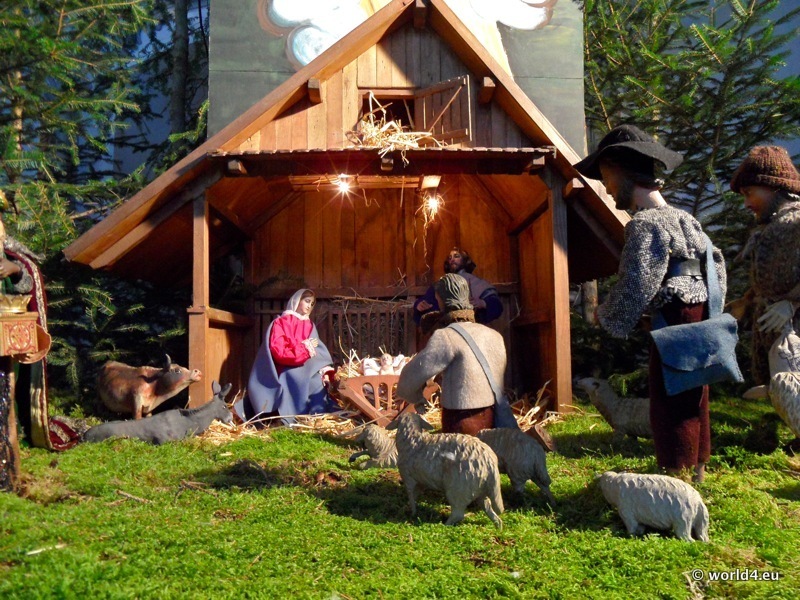 This old crib is shown every Christmas in the church of a small village in Bavaria. 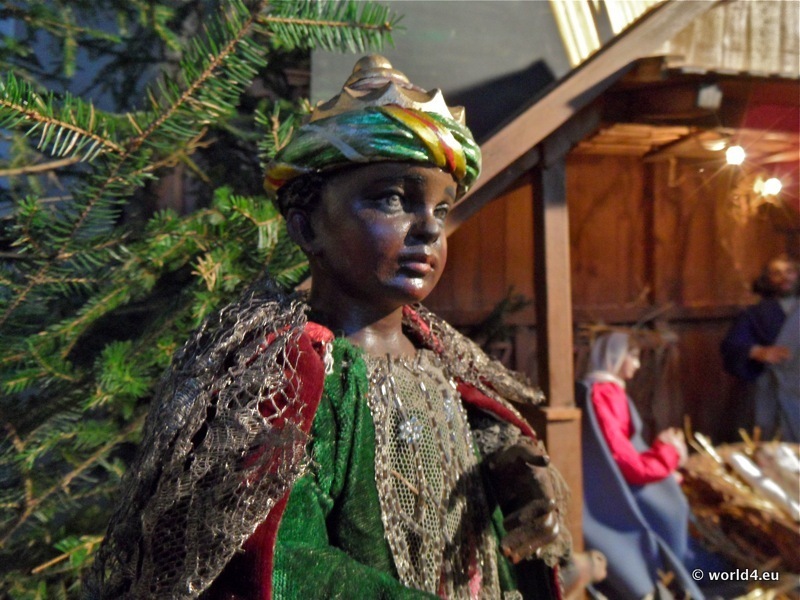 The nativity figures are hand carved. Previous PostVintage German christmas cards illustration 1910s.